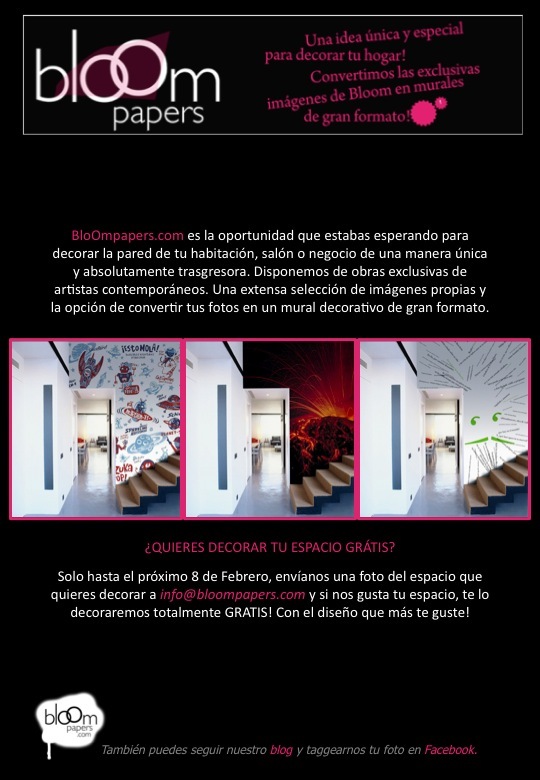 Win a BloOmpapers for your wall! Win a Bloompapers for your home in our fabulous new competition! Simply send us a photo of a space in your home which you think is in need of a bloompaper makeover, together with the name of the image that you like best from the ‘Bloom Artists’ section and you’re in with a chance of winning! The competition runs until the 7th February and we’ll announce the winner at the end of the month. Send photos of the room to info@bloompapers.com Good Luck!